IDENTA GIC Lining is a glass polyalkenoate (ionomer) cement for lining and core build-up. 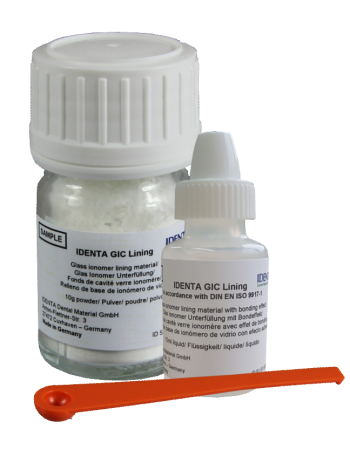 IDENTA GIC Lining permits reliable lining for composite materials and amalgam. It sets rapidly and is radiopaque.